Friction Tape is cotton cloth impregnated with a unique brown scientifically compounded natural rubber and synthetic rubber blend adhesive. It offers good mechanical protection against abrasion and penetration of low voltage cable, splices and wire. It’s suitable for temporary binding and harness application. It consists of a scientifically compounded pure rubber adhesive properly calendared and impregnated into cotton cloth. 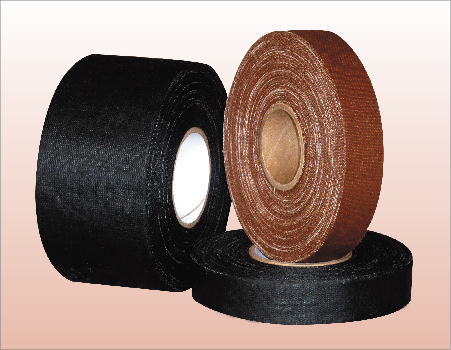 This tape is commonly used for over wrapping low voltage splices, harnessing and cover taping for many mechanical applications. Also it can be used as hockey stick blade wrap for better puck control.